Mike Ruddock has stepped down from his position as coach of the Ireland u20 team to be replaced by Nigel Carolan of Connacht. “I have thoroughly enjoyed the opportunity to work with the Ireland U-20 team and it has been very rewarding,” Ruddock said. It seems odd from this perspective that he has chosen now as the time to move aside. As noted in his brief announcement, Ruddock won the league with Lansdowne while coach of the national u20 team so it can’t have compromised him that badly. If the dual commitment was a concern, it makes more sense that he would have finished his involvement directly after the JWC in June of this year. The Indo’s article notes that Ruddock was charge of the u20s for four seasons, the start of which was a different time in underage rugby from an Irish perspective as outlined in Brendan Fanning’s piece. The gist of the article is that in 2011 the IRFU had serious doubts about the merits of sending a team to the JWC and were “considering” withdrawing from the tournament in future. The argument at the time went along the lines of the Southern Hemisphere teams being bigger, more physically developed yadda, yadda…but we were prepared to continue playing the Apprentice White Orcs every year in the Six Nations. Of course, Ireland did travel to South Africa in 2012 and finished fifth but that standing and the format of the tournament hides the fact that Ireland beat the hosts, France and England playing some super rugby under Ruddock’s stewardship. By contrast, Ireland finished fourth in this year’s tournament by beating Wales and Fiji and losing to everyone else they played. My memory of the time of Ruddock’s appointment is that at the time u20s was a concept that carried on from schools’ internationals and was a Friday evening fixture on Six Nations weekends. 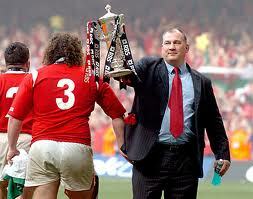 With an Irish wife and two sons pursuing professional and college careers in Ireland, Welshman Ruddock was a non-political choice as coach with established credentials having led Wales to a Grand Slam in 2005. The fact that the IRFU considered withdrawing from the u20s tournament betrays what their feelings were and where it fit in their world view. Now Nucifora has arrived and the Union have taken the u20s fully into their control. One of the features of Ruddock’s time in charge was the amount of underage talent that flocked to Lansdowne – to the extent that even without Peter Dooley, they could play three international underage props in their u20 squad last season. Precise details of how much Lansdowne invest in their underage program are speculation but one thing looks obvious from the outside: if you’re an aspiring rugby professional, playing at the club coached by the international age-grade supremo makes a lot of sense. At the conclusion of Ruddock’s tenure it has to be noted that he did a good job, particularly in JWCs where his teams pulled out at least one big performance and players were picked on form. First and foremost, Ruddock was a coach with a wealth of experience that embraced Swansea in the last days of shamateurism, Leinster in the early days of professionalism, Wales at Grand Slam level and who continues at club and schools level. He has a breadth and depth of experience that is not easily acquired and a “feel” for coaching that you only get by doing it. The appointment of Carolan gives the Union closer control and opens a development pathway for aspiring coaches. Will they be technocrats or field workers? It also looks to be a significant movement by Nucifora to consolidate resources, let’s see what will follow. This entry was posted in News and tagged Baby Greens, David Nucifora, JWC, Mike Ruddock, Nigel Carolan by dementedmole. Bookmark the permalink. I was always surprised that Ruddock never got mentioned in the Ulster coaching saga. I think he would have been a great choice…. and still do. I’m always suspicious of the jobs for the boys stuff. It’s a shame that Ruddock left but Nigel Carolan had being doing incredible stuff with the Connacht Academy for a few years. I think the U20’s will be great hands with a proven youth coach whose brought through the likes of Denis Buckley, Kieron Marmion, Robbie Henshaw and Darragh Leader among others. This is going to really mess up Lansdowne’s recruitment strategy. Uh, allegedly. Which is one reason why the demands of the two jobs have been regarded as at odds with each other, results notwithstanding. There’s an element of “did he fall, or was he pushed?” here. Ruddock done a good job with the team. He always tried to play good, smart rugby. I like his style as a coach. Maybe he thinks he isn’t able to go to as many underage matches as he would like. Ulster complained about him for only picking 2 players for the JWC in New Zealand. He was a bit biased towards Lansdowne but every coach will go with what they know best so its not really a thing to hold against him. Carolan is an interesting choice. I’m sure now we’ll see one or two more players head west to Connacht. One thing is for sure, he’ll have plenty of talent to choose from.